Are the Taiwanese in charge of their own destiny any more? Imagine a world in which national power and the ability to unleash the furies of brute force were the two single determinants of international order. A world in which a handful of Leviathans elevate the principles of the Realist school to an extreme, making alternative, and oftentimes gentler, forms of geopolitical management a thing of the past, wishful thinking for the naïve. In such a system (call it Hobbes on crack), the weak and the small however defined would forever be threatened by larger forces. Resistance would be futile, and pleas for justice in international forums would fall on ears dulled by defeatism and the inevitability of surrender. Hau Pei-tsun, a former premier and minister of national defense in Taiwan, imagines such a world — and he’s fine with it. Speaking at a seminar held to coincide with Armed Forces Day on September 3, the 95-year-old Hau told his audience that the future of Taiwan wasn’t for its 23 million people to decide, but rather to be determined by “the Chinese,” about 1.4 billion of them. Although conceding that in a fair world Taiwanese alone should determine their fate (this is the official position of the opposition Democratic Progressive Party, or DPP), Hau maintained that Taiwanese were not given a choice when, 69 years ago, their land was handed over to the Chinese Nationalist Party (KMT) and, by default, to the Republic of China (ROC). It didn’t matter that the undemocratic arrangement, as David Finkelstein makes amply clear in his book Taiwan’s Dilemma, was initially a bloody fiasco, prompting U.S. officials to debate various scenarios, including a U.N. intervention, a coup against Chiang Kai-shek, or the complete abandonment of the island to the People’s Republic of China (PRC). Power and international forces decided Taiwan’s fate, just as they did in 1895 after Taiwan was “ceded” to Japan under the Treaty of Shimonoseki signed at the conclusion of the First Sino-Japanese War, in which an overconfident China was, for lack of a better term, trounced. So according to Hau, history, however unjust, should repeat itself. The accumulation of might creates inevitabilities, and Taiwan, now against all odds democratic, should once again submit. That the majority of Taiwanese — including most who vote for the KMT — would rather maintain their de facto independence or seek outright a declaration of de jure statehood (a minority opinion), doesn’t figure into Hau’s rather depressing model. Neither does the fact that the two societies and political systems are utterly incompatible, a reality that is also becoming apparent in Hong Kong. Force, national power, will decide. Or rather, according to Hau, China’s 1.4 billion people will, as if they, and not a small circle of individuals within the CCP, had a say on the matter (can we really expect authoritarian China to suddenly become democratic when it comes to the Taiwan “question”?). If we were to buy this historical inevitability (a sentiment that Chinese political warfare and United Front operatives are keen on cultivating among Taiwanese and people elsewhere), then we might as well say goodbye to Ukraine and Georgia — hell, throw Finland in there as well — or, for that matter, Canada and Mexico. Why the latter proposition concerning North America sounds terribly absurd (and it is) is because the international system, flawed as it is, has been governed by considerations other than the simple expressions of national power or geographical size. Despite their comparative weakness, Canada and Mexico, with populations of 34 million and 113 million respectively, never feared the loss of their sovereignty (the U.S., possibly the strongest state to have ever existed, could have invaded both had it desired to do so). That is because the Leviathan, or the regional hegemon, never had such designs on them — at least not in modern history. Even at the height of the Cold War, the U.S. never sought to turn Fidel Castro’s Cuba into a colony of the U.S.; at most, covert CIA action and propaganda sought to install a government that was friendlier to the U.S. and not aligned with the U.S.S.R. The same holds for other countries in the Americas. So why, if might is the single determinant of sovereignty, as Hau seems to argue, didn’t the U.S. invade its much weaker opponents, either by force or by complete economic assimilation? The answer is actually very simple: American democracy and a deep aversion to colonialism among ordinary Americans after World War II would not countenance such acts. Moral considerations, rather than the “Natural Law” of power, were therefore the main factor ensuring that “weak” countries like Canada, Mexico, and Cuba could retain their sovereignty, regardless of the historical context (e.g., the Cold War). Even the much-reviled Monroe Doctrine and the United States’ “Manifest Destiny” (a term that is now being used to describe China’s behavior in the region) never called for the actual political control of sovereign lands. At this point critics will be tempted to counter with suggestions that in its infancy the U.S. did behave like an expansionist bully, seizing foreign territory through force. Though a valid observation, I would then counter with the proposition that such events occurred centuries ago and that the international political system has made substantial progress since then. The trade in slaves is now frowned upon, for example, and human rights — including, after World War I, the right to self-determination — are now an important component of political dialogue among nations. I would be tempted to add that since the Chinese are so keen to remind us of their great wisdom after 5,000 years of history, shouldn’t they know better than to repeat the terrible mistakes made by Western barbarians? But such a road would be ruinous only if the Chinese chose not to act wisely. A free and independent Taiwan doesn’t have to be a failure. It has all the assets — democracy, a modern, internationally integrated economy (the world’s 19th-largest), and a stable political system — to function and succeed as a normal independent state. If Macedonia, with an annual GDP of $22.6 billion and the Democratic Republic of Timor-Leste ($25.4 billion) can succeed, so can Taiwan ($926.4 billion)! Taiwan will only be in ruins if China decides to ruin it by unleashing the People’s Liberation Army upon it. Co-existence — prosperous and mutually beneficial co-existence — between Taiwan and China is possible, but sober minds on both sides (and abroad) are needed to make this possible. Of course there will be hurdles as long as Beijing perceives Taiwan’s democracy as a threat to its own system, though the case could be made that absorbing Taiwan under a “one country, two systems” formula would create such a contradiction within a “re-unified” China that the CCP would wish Taiwan had become independent. But at this point some voices within the CCP seem to have realized that some form of accommodation with Taiwan will be necessary for the foreseeable future, a reality that became all the more apparent following the Sunflower Movement’s unprecedented occupation of Taiwan’s legislature earlier this year. How else could we explain the frequent (and relatively high-level) exchanges that have occurred in the past two years between Chinese officials, academics, and business leaders, and people close to DPP Chairperson Tsai Ing-wen, both via the DPP and Tsai’s think tank, the Thinking Taiwan Foundation, 小英教育基金會 (full disclosure: the author is currently an employee at the Foundation)? Chairperson Tsai’s policy has been to work behind the scenes to propose an alternative future for Taiwan and China, one in which Taiwan can maintain its way of life and prosperity (in other words, its independence) while not ignoring the necessity of conducting business with China, a neighbor that also happens to be the world’s second-largest economy. There has been a tendency worldwide, even in Washington, D.C., to regard Taiwan as an irresponsible troublemaker for asking for rights that are readily granted to other peoples. Given the forces that are stacked against the voices within Taiwan that call for such rights, it is easy to see why the world would rather see the Taiwan “problem” disappear once and for all. But it won’t. Hau, a product of a different time (he was born two weeks after the Treaty of Versailles), probably cannot conceive of the alternatives, and that is why, despite the air time he receives at academic conferences on both sides of the Taiwan Strait, he has become increasingly irrelevant. His views on the inevitability of history are completely out of touch with modern Taiwan, so much so that they would be insulting to most people who vote for the KMT and who are in favor of closer engagement with China. There is an alternative to a world in which Leviathans dictate the fate of others, but it will only be realized if the powerful choose to build a future based on the human progress that has been made over the centuries, to learn from the mistakes of powers that are no more, and to take a leap of faith to demonstrate that they are indeed “wiser” than their predecessors. 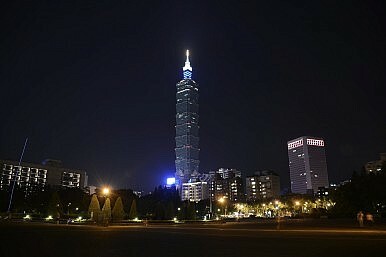 Taiwan can be independent and prosperous without China suffering at all, or Taiwan being ruined. In fact, it is likely that a peaceful resolution to the conflict in the Taiwan Strait, one that gives Taiwan’s 23 million people a say about their future, free of coercion and blackmail, would be beneficial to China as well. Conversely, forcing Taiwanese to choose a future not of their making, or overpowering their voices with the chorus of 1.4 billion people, would ensure instability — and probably bloodshed — for years to come. Whether a positive future materializes will depend on the wisdom of the people in Zhongnanhai and Taipei. Taiwan wants many things. War isn't on that list.